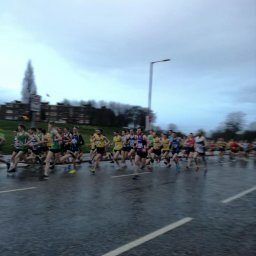 It was a day of mixed fortunes for two North Belfast Harriers at the Inter Counties Championships at the CAFRE Campus in Greenmount, Antrim this weekend. 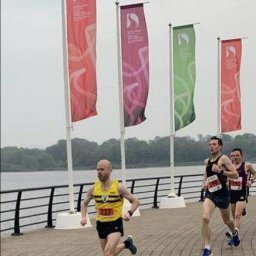 Stephen Scullion and Cathy McCourt were competing for Ulster against strong teams from England, Wales, Scotland, Republic of Ireland and the Midlands. The men’s race, held over 10.8km saw Stephen Scullion take the lead after approximately one mile. However, the chasing pack, including Jon Pepper (5th in the English National recently), Andy Wiles and Adam Hickey swallowed up the small gap Stephen established and pushed the pace on. 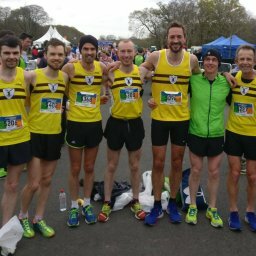 Ulster team mates, McGinley and Agnew would capitalise on steady starts by moving through the field to record strong finishes in 5th and 8th respectively. Stephen carded an uncharacteristic DNF but will be looking to rectify this at the Titanic 10km in two weeks time. England easily took the team prize. The women’s race, held over 7.2km saw Cathy McCourt mix it with some of the home nation’s best cross country runners. However, it was Ulster team mate, Gladys Ganiel O’Neill who forced the early pace and record the top local place. Gladys ran a strong race finishing in 8th place and first ulster/irish runner. Julie Turley from Dromore ran well finishing in 13th, while Cathy rallied over the last 2000m picking off runners to come home in 22nd.